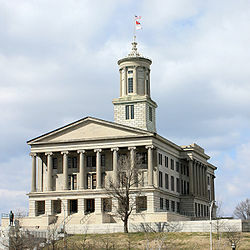 The Tennessee 8th District Tea Party Coalition met on Saturday 5/5/2012 to decide on the Republican legislator most in need of defeat in the primary elections. Three individuals did their homework and each presented their case against the nominees, Doug Overbey, Mark Norris and Debra Maggart. The presentations with discussion lasted for almost two hours with the entire meeting lasting about 4 hours. In the end there was a unanimous decision that the TN8 would oppose Debra Maggart first and foremost with Doug Overbey second and Mark Norris third. All 10 Tea Party groups who are members of the TN8 were represented with two guest groups represented. All 12 groups were unanimous in the decision. We hope to encourage groups in middle Tennessee to join with us in supporting Courtney Rogers against Debra Maggart in the Republican primary election. Intended to protect us from unreasonable search and seizure. Intended to protect us from unconstitutional federal actions. Intended to protect small producers from federal regulatory abuse. Please notice that all of the above are efforts to protect the people of Tennessee and all failed or were withdrawn. The failure of our legislature to protect the people of Tennessee must be laid for the most part at the feet of the House Republican leadership and Debra Maggart is the House Republican Caucus Chair. Please realize that our Republican leadership has done absolutely nothing to prevent another Gibson Guitar type raid and seizure of the property of Tennesseans or our businesses. This clearly indicates a willingness in our Republican leadership to accept this kind of federal abuse of power on our behalf. I'm sure we all agree that it is not acceptable to us. Rep. Debra Maggart's challenger is: Courtney Rogers. Her web-site is www.votecourtney.com Please help by soliciting donations and support for Courtney. Senator Doug Overbey's Challenger is: Scott Hughes. His web-site is www.ElectScottHughes.com Please help by soliciting donations and support for Scott. We hope to encourage groups in East Tennessee to work with the Sevier County Tea Party to support Scott Hughes and help Senator Doug Overbey find alternative employment. In preparing my case against Doug Overbey I found that his voting record is one would make Nancy Pelosi proud. Senator Mark Norris' Challenger is: Woody Degan. His web-site is www.Degan4Senate.org Please help by soliciting donations and support for Woody.